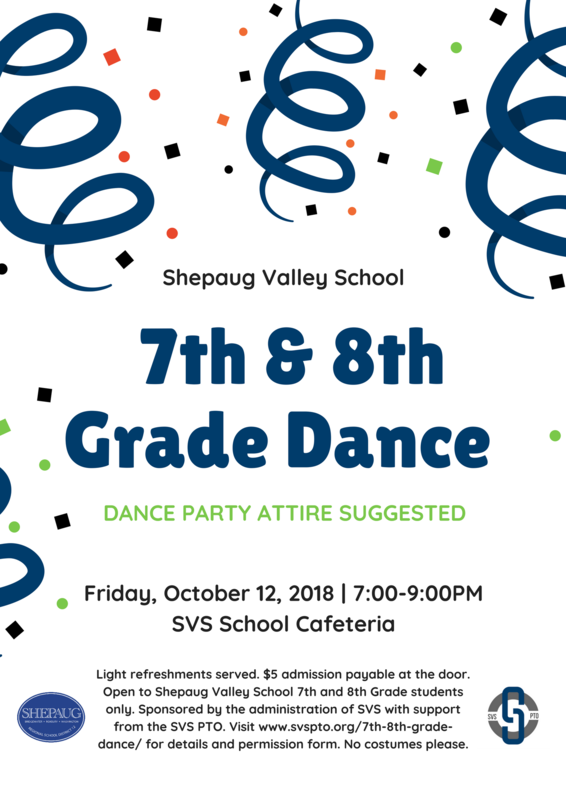 All SVMS 7th and 8th grade students are invited to attend the Fall Dance on Friday, October 12, 2018 from 7:00 p.m. - 9:00 p.m. 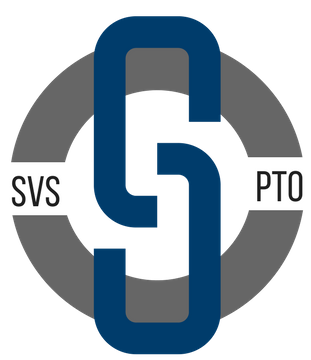 The event will be held in the SVS cafeteria. Snacks will be served. Admission is $5.00 per student and a signed permission slip is required. Click below for access to the permission slip. The dance is scheduled for October 12, 2018 from 7:00 pm - 9:00 pm in the SVS cafeteria. Admission to the dance is by signed permission slip. A phone number where parents may be reached during the hours of the dance must be indicated below. Parents will be contacted in an emergency, or for student disciplinary violations. Please indicate a number where you can be reached below, to ensure you can be contacted in case of an emergency. Students must stay inside the building until the dance ends at 9:00 P.M. All students will remain at the dance until it ends at 9:00 P.M. Parents who'd like their children dismissed prior to 9:00 P.M. must appear in person to pick them up at the cafeteria. Parents are asked to be at school promptly at 9:00 P.M. for pick up. Students who are suspended or absent from school the day of a student activity are not eligible to participate. NO GUESTS are permitted at the dance.